Please call a wedding coordinator to check and see if your special day is available. Call 1-800-758-6604..
Angel's View Wedding Chapel is not like any other chapel in this area and we offer an array of services to make your wedding day stress free and complete! We are proud of the quality of our services. 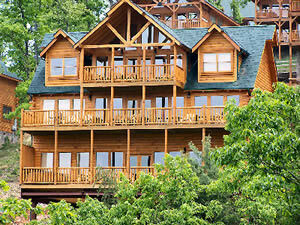 We are located only 5 minutes off the parkway of Pigeon Forge nestled in the beautiful scenery of the mountains. We will be glad to help you plan your special day. Call 1-800-758-6604 for any questions. Along with our Wedding Chapel, we have premier lodging for family and friends joining the wedding party. For the honeymooners, we have exquisite honeymoon cabins loaded with amenities. 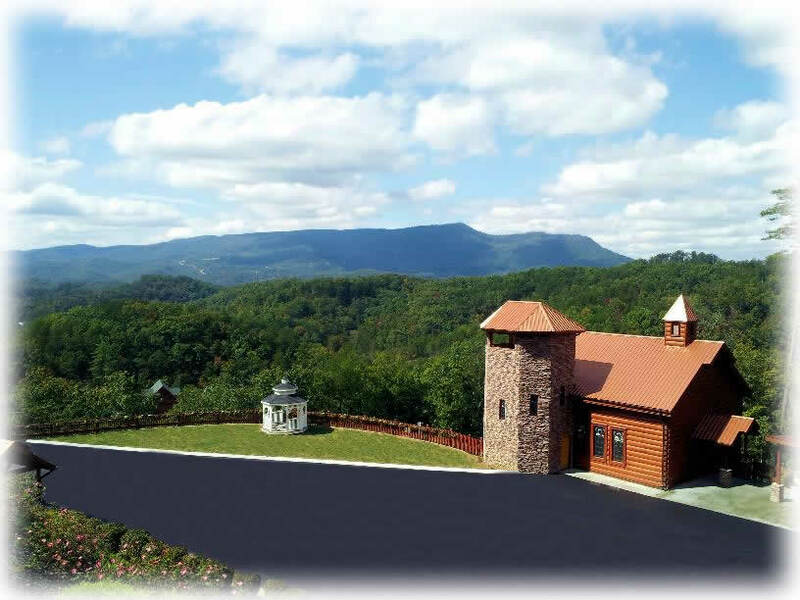 Our reception hall is located adjacent to Angel's View Wedding Chapel. "From the South to Your Mouth" is our premier onsite catering specialist. 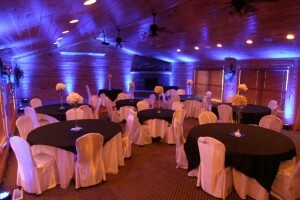 You can choose from any of these reception packages or they will be happy to customize your event. Also, included are bridal luncheons or rehearsal dinners. Our reception hall will seat up to 60 guests. 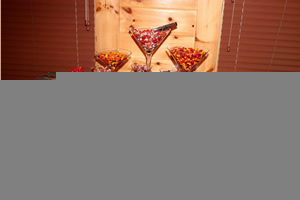 You can book your reception with any package from an intimate get together with nuts, mints, chips and dip to hot hors' d'oeuvres and or a prime rib buffet. We are here to help you customize your special day. To make your day even more stress free, we have our salon right on the premise. We would love to schedule your manicure, pedicure, bridal hair do, and makeup. You can also relax the day before or the day after with a massage. Just call to schedule. "Make Me Over Salon and Day Spa"
Whatever bouquet or flower arrangement you choose for yourself, attendants, fathers and mothers, silk or fresh, we will arrange that for you also. Please remember we are a wedding chapel. We have several weddings a day so we want to be respectable of each individual wedding party. Please ask your guests to arrive 10 minutes prior to your ceremony so they can be seated. The bride should arrive anywhere from 15 to 20 minutes early to get dressed unless she and or her bridal party have hair and makeup. Groom should arrive at least 10 minutes before your ceremony. The minister usually likes to speak to the bride and groom prior to the ceremony. Please bring any burned cd music for the ceremony in the order that you want it played, we have traditional music. If you have any additional guests, there is an additional charge. Please inform us before the day of the wedding. Below are guidelines for larger wedding parties. If you have a cabin you will be checking in at our cabin office (130 Waldens Main St) on your given check in date. The phone number is 1-888-889-7865 in case you need it. If you have hair and makeup on the day of your wedding, please arrive at the salon (located beside the chapel) at the given time. Wear a button up shirt and bring any items (headpiece, tiara, decorative pins, veils, etc) that you have for your hair. Please make sure you know when your groom is planning on coming down to the chapel so we can make sure he doesn’t see you before the wedding. If you have a reception, it will follow your ceremony and pictures. Please state correct amount of guests for your reception to ensure there is enough food and staff for your reception. This is to avoid any embarrassment on both sides. There is additional charge for extra guest. There are times that we will have more than one reception in one day. That means the premises should be vacated at the allotted time. We must get ready for our next guests. Please appoint someone in your party to help arrange these items. It can be the night before or the day of and sometimes and hour before. Please stay in contact with your wedding coordinator to arrange this.